Your home could be spotless, but if one stray crumb is somehow left out on the floor or countertop, you will most likely see ants marching in line to come and retrieve the morsel of food. They ruin our picnics, take over our yards, and even invade our homes. They constantly march forward in search of bits of food, across your floor, along your countertops, and even up the wall. You don’t need much of a mess to entice them inside your home either. Stray granules of sugar that are barely visible to the human eye, miniscule potato chip crumbs left on the couch, or even just a bit of grease left over in your dog’s food bowl will act like a siren’s call to any nearby ants. A lot of times it is the small things that attract ants into your home every year. But, the species of ant invading your home can also make a big difference when it comes to the type of damage they can cause and how you can get rid of them. The species of ants that tend to infiltrate homes in Maine can come in all shapes and sizes. 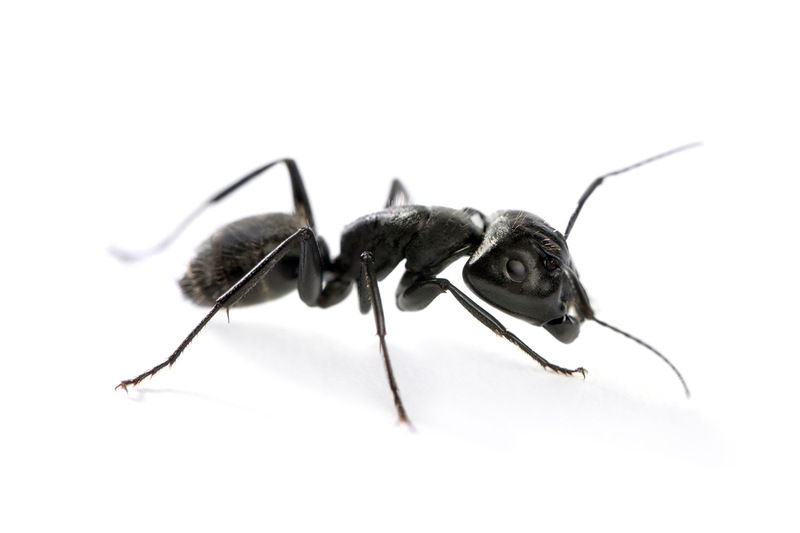 Some of the most common ants that infiltrate homes in Maine are carpenter ants, pavement ants, odorous house ants, thief ants, acrobat ants, and pharaoh ants. All of these different species of ants have different habitat as well as food preferences, so knowing which species is infesting your home can go a long way towards helping you deal with the problem. Not all ants are created equal when it comes to dealing with an infestation. One of the most problematic and destructive ants that infest homes in Maine is the carpenter ant. Coincidentally, they are also the largest ants you will find in Maine, and they come in two different types; black carpenter ants and red carpenter ants. These guys can cause major problems if they infest your home, especially if it is an older house. While carpenter ants don’t eat wood, they do chew it up and spit it out in large quantities in order to carve out tunnels in moist, decaying wood for their colony to inhabit. Their name comes from their practice of carving out and tunneling inside old wood, in which they build the galleries where the colony will live. They specifically search for wet and rotten wood to build a new colony, as any wet, rotten wood attracts a new queen to join the colony. As you can imagine, an infestation of carpenter ants can cause serious problems for the homeowners. Their constant excavation of the house’s old wooden structure damages and weakens it without leaving any outward signs of their destruction. A carpenter ant infestation can be just as devastating as termites if not caught quickly. The tiny pharaoh ant is another species you do not want infesting your home. They are not as common as other house-infiltrating species like the carpenter ant, but they can end up staying in your home permanently if they do find their way inside. They have the ability to survive most of the pest control treatments used to get rid of ant infestations. This means they are very difficult to get rid of once you have an infestation. If you find that your house is infested with these tiny ants, you need to call pest control professionals straight away, as they are the only hope you have of eliminating the infestation. Have you ever had an ant infestation in your home? What was it like trying to get rid of them and what kind of damage did they cause?